congratulatiosn on this superb little airplane, that I really enjoy. But I have a problem with this addon. After flying for 1 1/2 hour I have a out of memory failure. And this happened only with this addon (also use A2A and PMDG addons without problems). thank you for your support, I am very happy you like the aircraft! I'm sorry you experience this problem. I am investigating a possible memory leak, if there is one, I'll fix it in the next update! this is all my fault. I found the memory leak and patched it up. The fix will be included in the update to version 0.04, which should be completed by the end of July at the latest (it's very well on track right now!). I'm afraid the only solution I can offer in the meantime is to limit your flight with the Vega until the update. I'm very sorry about this bug. Short flights or static display for a month is no problem at all! Lots of screenshot opportunities. One day I'll fly around the world with real-time weather in the Vega, but that can wait! I've done it once in the A2A B-17, way up high in the stratosphere with autopilot and crew so it felt like cheating. 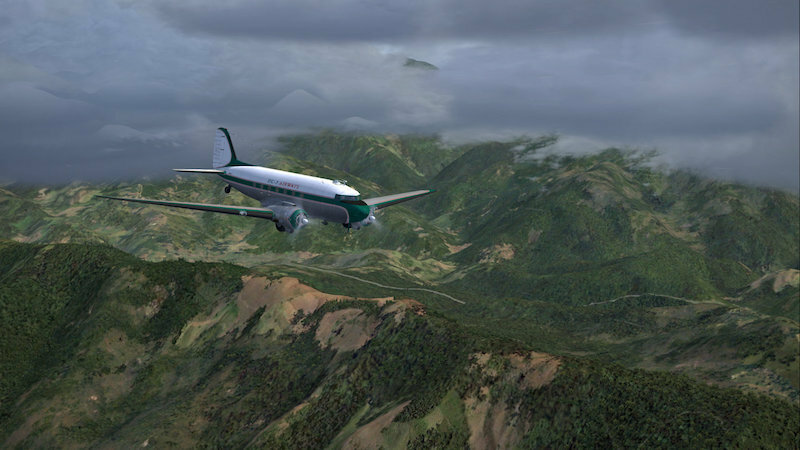 More recently I flew a C-47 from Boston to the South Pacific using the South American Easter Island route with only ADF and celestial. But that had an autopilot too. Lots of fun ahead! Does anyone know if the long distance Vega pilots used celestial? I assume they did but haven't seen any references to it. Last edited by Tailspin45 on 28 Jun 2018, 15:41, edited 2 times in total. Last edited by Tailspin45 on 28 Jun 2018, 15:36, edited 3 times in total. The drift-meter was a really interesting instrument. And just like the Sperry robot pilot it was first tested (as far as I know) in the Winnie Mae. But just to point out the obvious: it wasn't the pilot who used these instruments but rather the navigator in the back. it wasn't the pilot who used these instruments but rather the navigator in the back. Exactly right. Wiley Post had Harold Gaffy in the back keeping track of where they were, and Amelia Earhart had Fred Noonan (who didn't keep such good track). But there was one amazing exception: Francis Chichester who flew alone in a DH Gypsy Moth on floats across the Tasman Sea from Australia to New Zealand. Taking sun shots in an open cockpit and working out an LOP while keeping the wings level and the nose pointed in the right direction was quite an achievement. Nevermind that at one point his course was blocked by the low cloud of a rainstorm, and had to divert from his carefully planned course. But his navigation got him successfully to both Norfolk Island and Lord Howe Island, the first aircraft to visit either. There's a wonderful book titled Alone Over the Tasman Sea about Chichester's adventure, and he also wrote about it in The Lonely Sea and the Sky. Last edited by Tailspin45 on 28 Jun 2018, 15:35, edited 1 time in total. I have differing opinion when it comes to this dreadful flight. From what I read, Earhart wasn't a particularly good pilot and she seems to have had no idea about the equipment she used - in particular her radio suite. It was Noonan's job to get her close to the USCG Itasca and from there it would've been AEs job to pick up the radio signal and get the bearing through the loop antenna. But whether it was because she threw out half of the radio equipment to save on weight, a fault or because she didn't know what she was doing (read up on Joe Gurr's involvement in the 'round-the-world-flight) - it was actually not Noonan's fault they failed to make it to Howland Island. I agree, Amelia sure wasn't the worlds greatest pilot. The accidents she had and the aircraft she damaged prove it, although in her defense she tried to do some difficult things. Wiley Post broke some aircraft, too, after all. There are so many opinions about what happened to Amelia I'm not willing to hazard a guess. I've followed the folks at TIGHAR and enjoyed the expertise and opinions offered in the forums. But, man, it's hard to come to a conclusion. Their archive is fascinating reading. BTW, note that the Itasca was trying to get a bearing on the Lockheed, not the other way around. The ship had much better radios and antennae and could have picked them up much farther away to give them a steer. In fact, that's exactly why it was there. Sadly, they couldn't. As you say, the only radio removed from the aircraft was a radio compass which was replaced by a loop antenna. That saved weight, but wasn't a particularly satisfactory alternative since the loop can't distinguish by 180º when a signal is received like the radio compass could, and because the loop was practically useless with the radio she was using as a receiver anyway unless the signal was very strong. Your view of her abilities with the radios is very well supported by an article titled Amelia Earhart’s Last Flight. All in all a sad ending for their flight and lives.